• Avoid sun exposure between 12 and 17 hours. 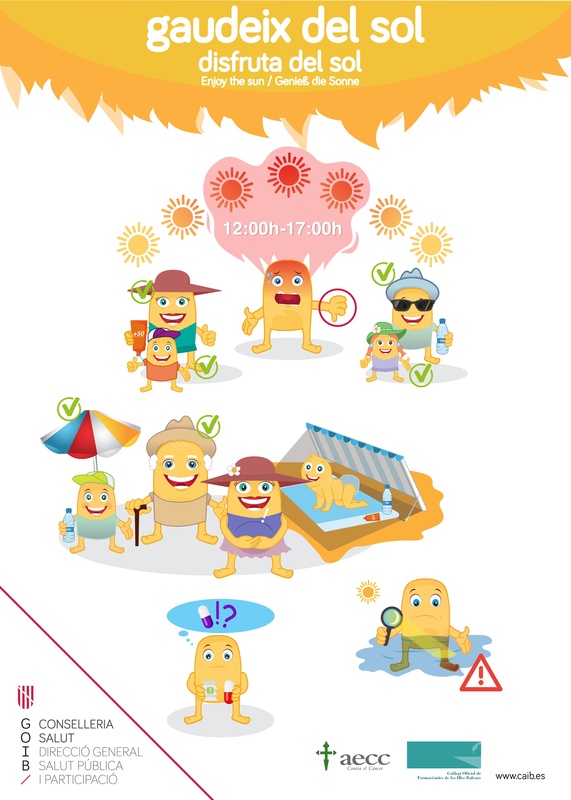 • Use light clothing, hats and approved sunglasses to protect most of the body. • Use sunscreen with a sun protection factor appropriate to the type of skin. Apply it half an hour before exposing yourself to the sun and repeat it every two hours. • Remember that the sun's rays also penetrate under the water. Even more, if it is transparent waters like the ones we have in Ibiza or white sand beaches. • In the case of children, elderly people, pregnant women or more sensitive people, extreme precautions must be taken. • Drink water throughout the day to avoid dehydration. • Be careful if you take some type of medication, they can increase the skin sensitivity. Now, enjoy the summer in Ibiza!